Which Spectra Breast Pump is Right for Me? 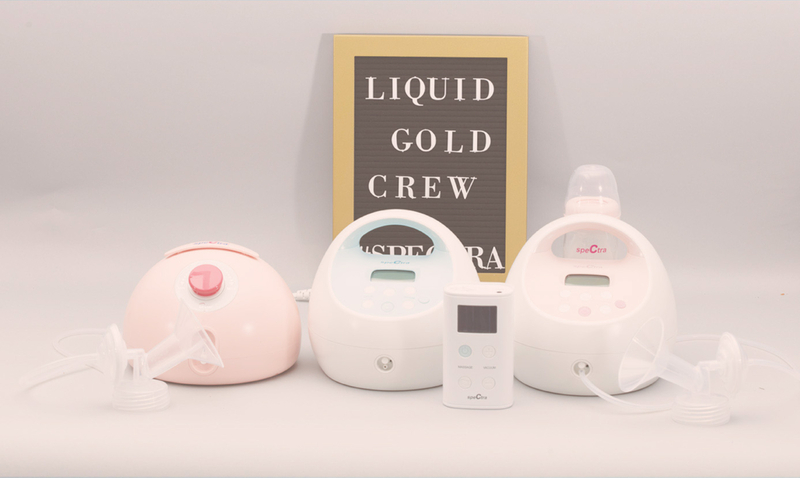 Let’s face it, Moms, there are A LOT of choices out there when it comes to breast pumps. If you’ve chosen Spectra, congratulations! As a breast pump company, we offer the best options for the busy nursing Mother. Our pumps are versatile, discreet, and most importantly, NATURAL feeling. A lot of Moms find themselves here, asking themselves “which pump do I choose?” To help you decide, we’ve put a list describing each and what it includes for you. The Spectra S1 Plus offers up at an amazing 3lbs. Compared to lugging around those 12-pound breast pump “purses”, this thing is a dream. This rechargeable model is perfect for Moms on-the-go and working Moms alike. It is quiet, operating at the ‘noise’ level of a library and convenient. The S1 has a massage mode, that imitates your newborn’s sucking rhythm and adjustable suction level with a timer. The S1 model also includes a night light to help you see when you wake up for that inevitable 1 AM session. The S2 Plus is Spectra’s all-electric premier model. It is perfect for Moms who stay at home with their little ones and can have a set place to pump. This model, even lighter than the S1 Plus, comes in at 2.5lbs. While it is lighter and does have all of the same features, this pump is not rechargeable. If you take it with you, you must bring the power cord to plug it in and stay in the same place while you pump. The 9 Plus breast pump is amazing because you can literally stick it in your purse. It comes in at a whopping half a pound. What weighs half a pound? A tomato. A tomato weighs half a pound. This beauty of a pump offers the same features as the two previous models, minus the nightlight. Even more, it does not have to stay plugged in and it offers the most convenience and portability for on-the-go Moms. If you have a place to go, you can take this pump anywhere. This pump is a bit different from the other pumps. It’s near and dear to my heart because it is for Moms whose little ones are unable to breastfeed. Whatever your reason to need this pump, you can rest easy knowing that Spectra is there for you and understands what you’re going through. This pump has backflow protection and comfortable suction levels, just like the other pumps, but was designed with Moms who are just having a bit of trouble with breastfeeding. It’s not meant for all Moms, just Moms with little ones like my boy, who have feeding difficulties. No matter what type of Mom you are, Stay-at-home, Working, On-The Go or Work-From-Home, Spectra has the right pump for you. You and pick up all of these pumps, as well as some super cute accessories like a gorgeous our black tote and blinged-out baby bottles at SpectraBabyUsa.com. Leave us your comments below. I Think I Want to Use a Breast Pump. Now What? Love my s1!!!! The portability is the best feature but still amazingly strong. This is my first time seeing the dew 350 so it was nice to learn about that pump and what it has to offer. So happy to hear that, Amanda! Thank you for your feedback! I have used the Medela backpack pump, Medela hospital grade pump, and a Lansinoh smart pump and just received my Spectra S2 through Aeroflow and of the 3 my Spectra S2 is my favorite. It is so much gentler than the other 3. I love that it is quieter than the other pumps. I love the massage and vacuum settings on it as well as the nightlight.